On September 8, thousands of rallies will be held in cities and towns around the world to encourage our local leaders commit to building a fossil free world that works for all of us. 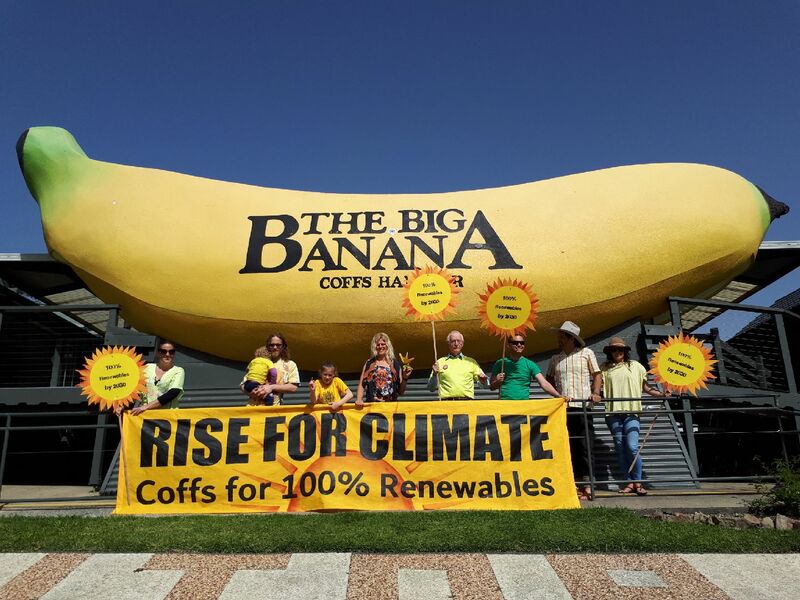 Come and join our friendly, fun & positive rally at the Jetty Foreshores to encourage our beautiful sunny town of Coffs Harbour that we can be leaders in transitioning to renewable energy! The theme for the day will be everything yellow to represent the Sun that happily beams loads of energy on us every single day! The day will include some fun for the kids, music, some dancing & a few quick speakers from the local community that will share their successful experiences in transferring to renewable energy and why it's important. So come and join us wearing your best yellow clothing if you can as we inspire each other to move towards a fossil-free world with clean, renewable energy that's good for us all!